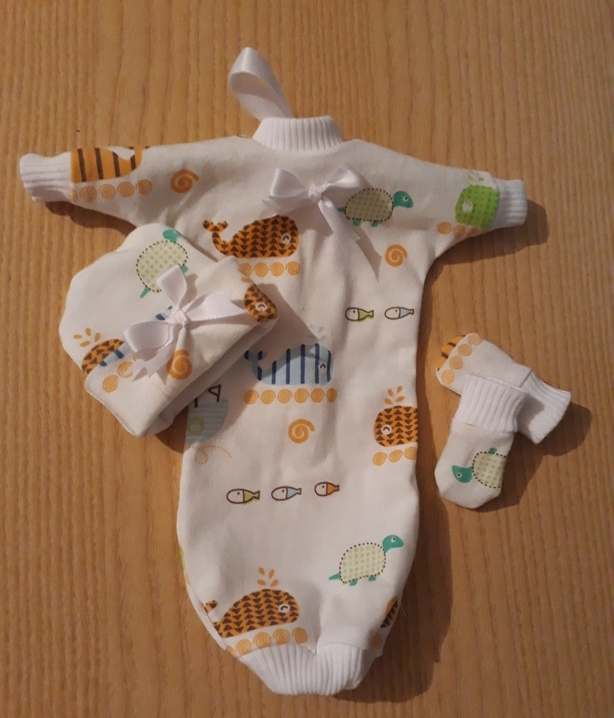 stillborn baby clothes in unisex colours.very tiny burial gown in the sweetest whale and ocean animal print complete set with a baby gown ,hat and mittens . choose this stillborn baby set Its has a gathered edge and comes complete with matching hat and mittens to dress baby tenderly in after a miscarriage at 20 weeks gestation. hand made by Something Precious TM made from 100% gentle cotton fabric gown with matching beanie hat and mittens. The sad loss of an infant is devastating enough to parents, so worrying about finding something suitable to lay baby to rest in is so important to the family.